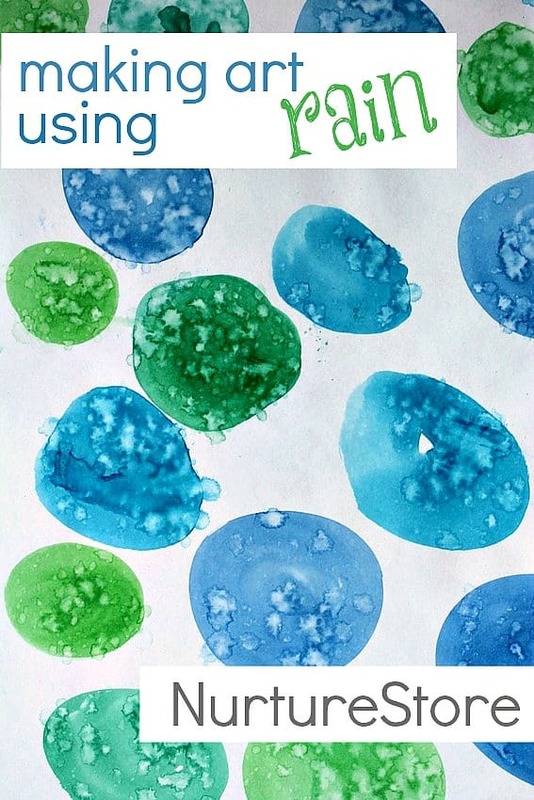 This kids art idea is a perfect rainy day activity and for April showers art – we’re painting with the rain! Have you ever tried this combination? 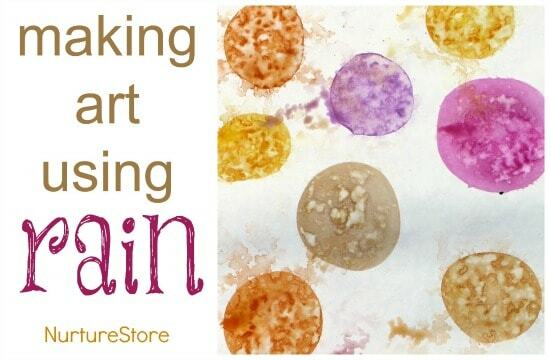 We’re using paint and rain drops to make art today. It’s very easy to do and produces unique effects every time. 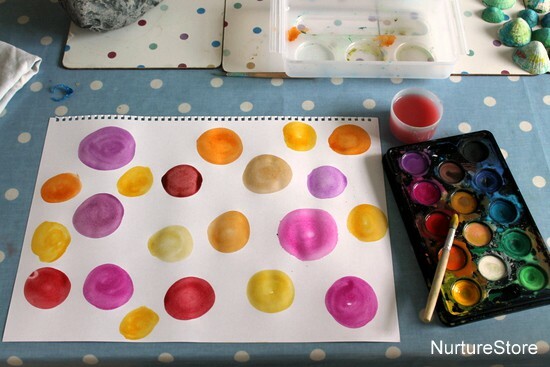 Start by painting a design on your paper using your watercolour paints. You can make any design you like. You might like to place your paints very close together, or space them out – or try both and see what different effects you can create. 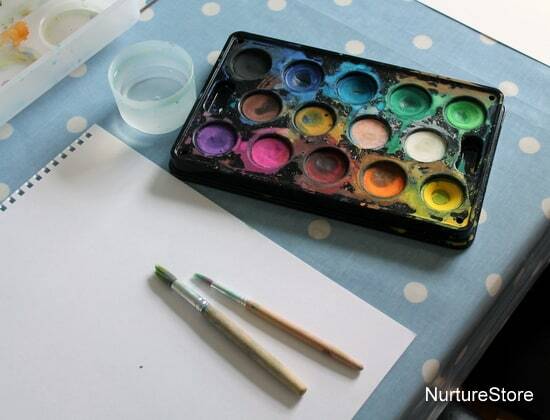 Be generous with your watercolour paints, and keep them liquid, adding plenty of water to blend the colours from your palette. 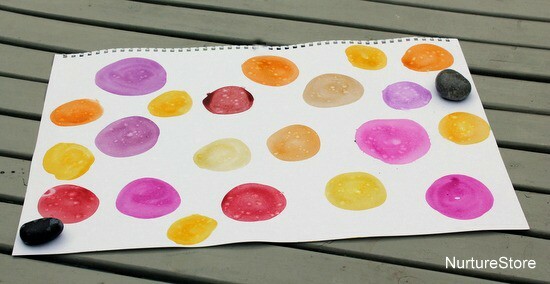 Then quickly, while the watercolours are still wet, take your paper outside. Use some pebbles to hold your paper in place, especially if it’s windy. Then invite nature to join in. It’s pretty cool to collaborate with the rain! 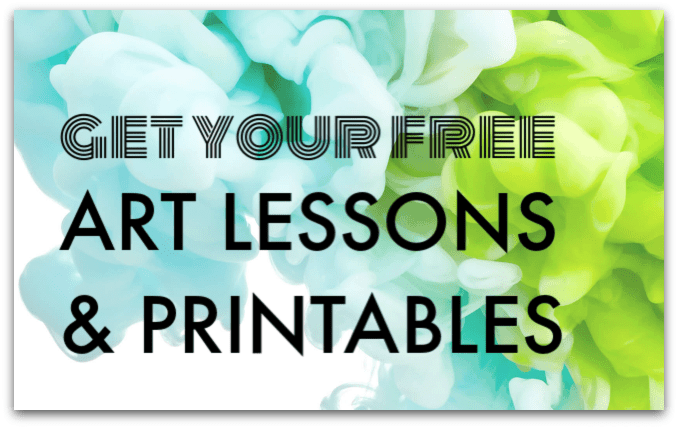 Watch as the rain drops change your picture, splattering your colours, making your paint spread and flow, perhaps blending one section of your art into another. Each piece will be unique, and you’ll never know how they will turn out until the rain has added its touch. Try it again with a different set of colours, or some different painted shapes, and see what you and the rain can create together. Using the rain to make art, is a great idea, I love it!!! This is beautiful! Thank you for sharing this idea! I would love to link to this, in a post I am writing if that is ok? I love this! Hi Misty. Yes you are welcome to link – thanks! I run an Instagram account, TeacherTools and I would love to share this idea! Is that okay with you? 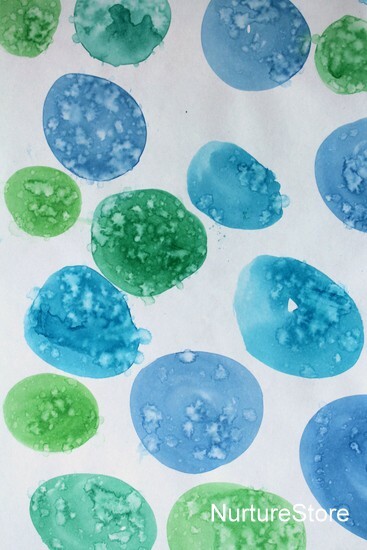 My co-teacher and I are working on a art show with our students inspired by rain. We love this concept, however, tried it ourselves and didn’t produce the same results. Thus we were hoping you could give us a few pointers. First, specifically, what type of paper did you use? 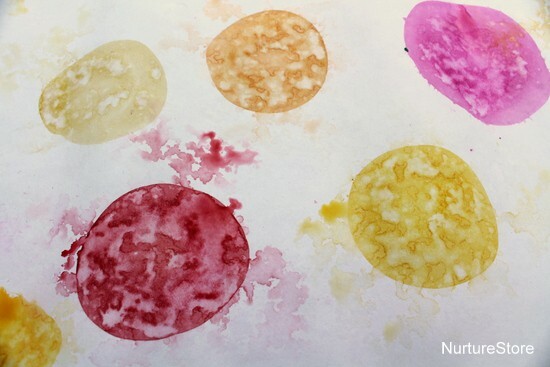 We tried watercolor paper, cardstock and sulfite paper. None created the cool water drop effect. Also, how heavy a rain were you putting the pictures out in? It is currently raining very hard and are wondering if that affected the outcome. Lastly, how did you prevent the splatters from running and mixing into one large water puddle? So very wonderful! I would have never thought of it. Thanks for the inspiration.